Some glass and windows require all the tricks of the trade to restore their initial look. 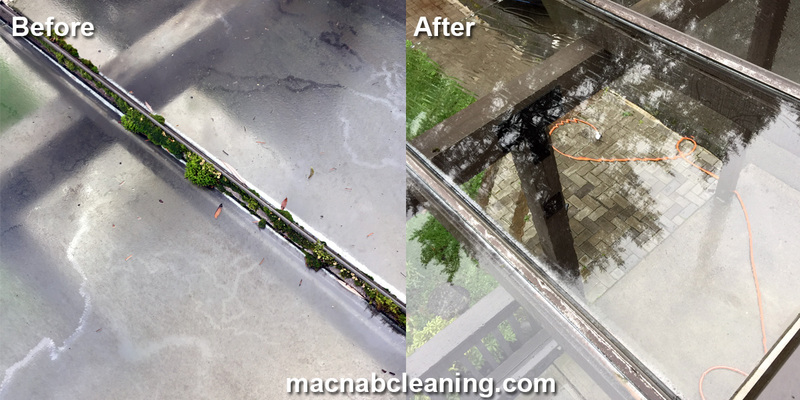 This one needed a treatment to kill the moss, algae mold. It also needed a professional quality designed window scraper to remove sap and hard stuck on debris. Finally a scrub and low pressure wash down as the finishing touch for that crystal clean look.